Well, it's really Moniak & Gowdy - and we'll see this year if Gowdy was worth it. It is completely and thoroughly disengenous to say that we only got Gowdy because we took Moniak instead of Puk and yet you make this argument every. single. time. Moniak signed for 6.1M at pick 1. Puk signed for 4.07m at pick 6. To think that we couldn't have got Puk for 2 million more at 1.1 than he ended up taking at 1.6 is crazy to me. And even if Puk stupidly was insisting on say 6.3 at 1.1 we could have shaved the 200K from one of our other stupid overpays. We were getting Gowdy NO MATTER WHAT. It is Moniak v. Puk. It is not Moniak and Gowdy v. Puk. It is actually not. We could have signed Gowdy with the money savings on anyone we drafted 1-1. Moniak is a draft choice that should be evaluated as is Gowdy separately. We would have had $3 million to throw at an overslot second pick no matter what. Now one could have spread it on more players, but we also would not have been guaranteed to get the players we wanted if we had used that strategy. Ahhh, 2016- the Phillies season and draft that makes me throw-up in my mouth every time I think about it. Next week should give us a flood of prospect lists. Keith Law and MLB.com both start their rollout of various lists. Fangraphs should be right after the Super Bowl. And that's why we need Machado or Harper. The Braves are much stronger than us at both the major league and minor league levels. If we just try to catch them with home-grown talent before signing a big FA or two, as AF suggests, there just isn't enough talent in the Phillies organization to accomplish that. Nor are we bad enough to get more primo draft picks. I want Machado -- a guy who fills a need and is available for just $, and fewer $ than we thought when our season ended, and who won't cost us a draft pick. To continue to beat a dead horse, while there may not have been an obvious Harper or Strausburg available to pick, they did miss on the studs when they had the picks and the international pool advantage. The international market is way too complex to call them misses. I think we can at least agree on Luis Encarnacion as a miss. Ortiz and Garcia have legit tools and while we might have overpaid (certainly with Ortiz), getting the top prospects is important and there are so many variables of outcome that to is easy to understand an overpayment on a 15-year-old that agrees in principle a year before the deadline. Assume Bohm and Garcia were not that far out of it. It is reasonable to downgrade Bohm a bit on a poor first season and think Garcia needs to show something at a higher level to deserve a top 100 ranking. Each could easily get ranked by midseason with a nice start (assuming Garcia gets jumped to Lakewood of course). Seems reasonable to have only Sixto and Medina in the top 100 . 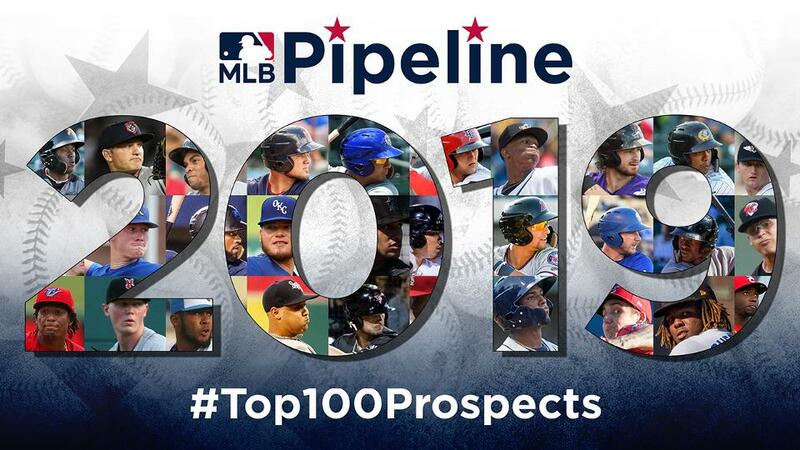 Would sure be nice to have Adell and Madrigal as Phillies prospects as both are ranked in the top 15 for Baseball Prospectus, and both were readily available and would not have been considered unusual picks. If Bohm does not impress this year, heads must roll in the Phillies scouting and drafting department. The franchise is arguably in the midst of what could be a lost decade, and this chronic missing on 1st round picks only helps to extend a self inflicted drought. Meh, I'd still take Kingery over Madrigal. Madrigal doesn't walk, doesn't have any power, he reminds me of a certain OF we used to have. He'll hit .300, with a OBP of .350 and an OPS of .725. At 2B, unless he's a Gold Glove, that's not as good as Hernandez. Odds of Kingery hitting .300 with a .350 OBP and a better than .750 OPS are pretty low at the moment, I’m afraid. Maybe it happens, but not likely. You may want to adjust your expectations. Madrigal at 15 does seem a bit too aggressive. He had a better debut than Bohm, but they started in a similar range as prospects. Madrigal does have a relatively low ceiling for a top prospect (though I'd say it is more like 320/400/425). But he'll start in AA this year and is probably a couple years ahead of Bohm. With defense and speed that Bohm does not have. I would put Madrigal in the back end of a top 100 at this point, maybe 20 spots ahead of Bohm who still is really a top 100 guy even if he had a bad debut. Right now I would say there is probably an 80% chance of Madrigal becoming an average regular or better. With Bohm it is more like 50-50. Some good posts here and ones which illustrate that now that Jordan is gone, it's Almaraz's turn on the hot seat. He struggled when he was promoted to AA, the next year he tore up that league, slowed a bit at AAA. Should have started last year in AAA and worked his way to the Show. I think .270/.350/.425 is a reasonable upside for Kingery, he had a .155 ISO last year. Optimistic upside. Kid swings at every breaking ball headed remotely toward the strike zone. Did that in AAA, too, they just didn't feed him bendy stuff all the time. It IS possible he learns to control the zone/recognize pitches better, but his downside is .220/.290/.375 if he doesn't. And Madrigal's downside is .280/.330/.330, kid has zero power and never takes a walk, both college and his first pro season, he may not have the body to ever develop even below average power. He's not one of these small but powerful guys, and I've been told that ML pitchers challenge hitters who can't get it past the warning track so they never walk. I wasn't discussing Madrigal. Never particularly liked him. He has his positives, though. Or one could point to having a 350+ OBP in A+ ball at age 21 and think he might be able to hit a bit. You are so obsessed with walk rates (and Madrigal's walk rate has been fine given his average his entire career). He has never had a low OBP relative to age vs level in college or the pros. There are many paths to being a productive hitter and Madrigal has unique skills that made him a high pick and one service now to rate him at 15 overall. Maybe being 2 levels ahead of Bohm and playing good defense is important. There is also nothing in his record to suggest he won't have a 400 slugging percent and maybe 10 HR power (a good hit tool is part of that). And your so-called downside could actually be a 2 WAR player with decent speed and defense.